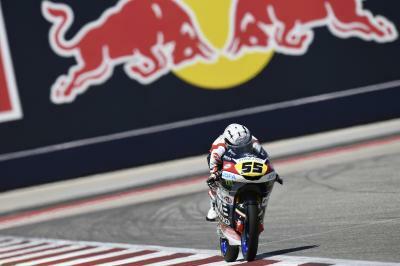 Romano Fenati (VNE Snipers) began the Red Bull Grand Prix of the Americas by setting the quickest time in Moto3™ FP1, his 2:18.536 on his final flying lap leaves the Italian 0.113 ahead of compatriot Dennis Foggia (SKY Racing Team VR46). 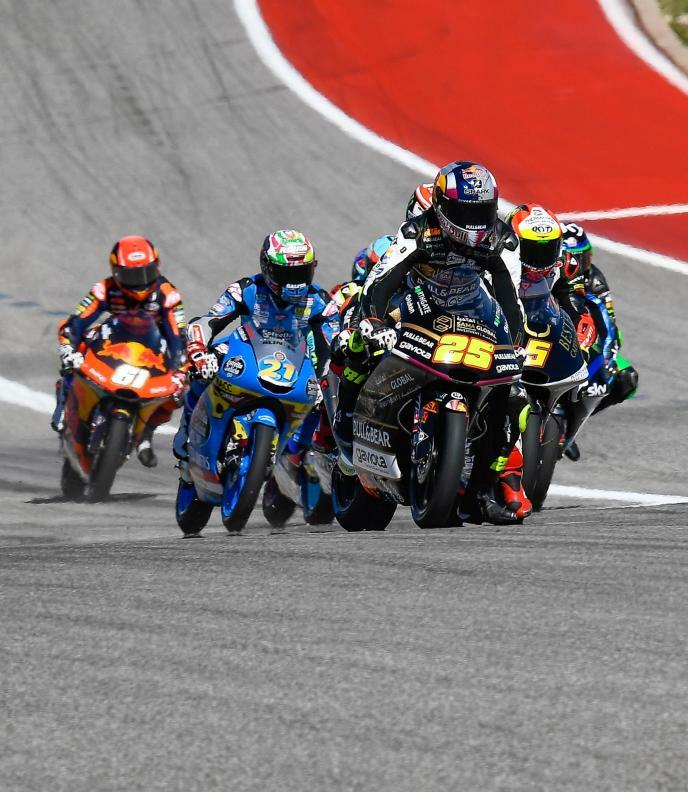 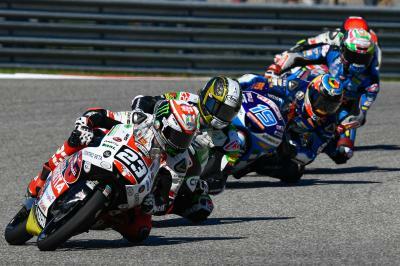 The duo were the only riders to dip under the 2:19 barrier as proceedings got underway at the Circuit of the Americas, with track conditions far from their best under blue skies in Austin. 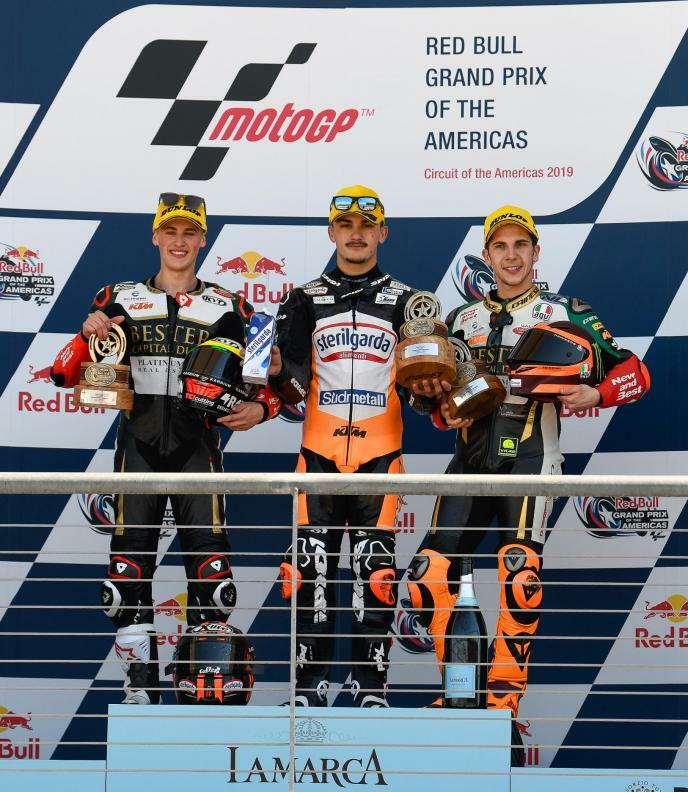 Niccolo Antonelli (SIC58 Squadra Corse) completed the top three with a 2:19.278 to finish the session 0.742 off Fenati, with Gabriel Rodrigo (Kömmerling Gresini Moto3) 0.067 off Antonelli in fourth. 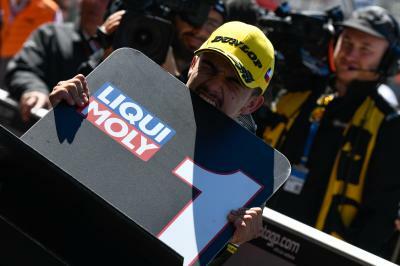 Jakub Kornfeil (Redox PrüstelGP) was the first man to set a 2:19 lap, but the Czech rider would finish at the end of the session. 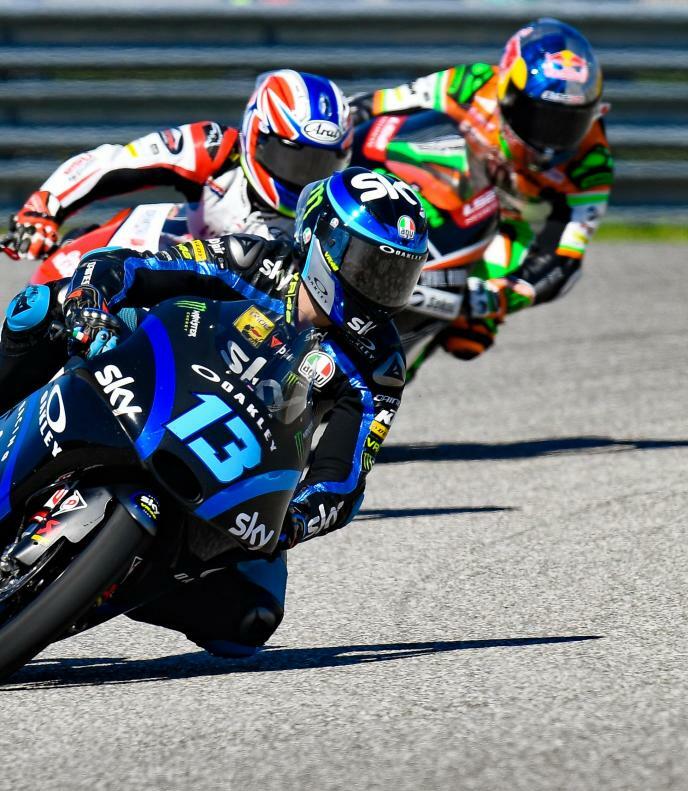 Aron Canet (Sterilgarda Max Racing Team) crashed at Turn 20 in the early stages of FP1 – rider ok.
With riders complaining about track conditions, you might want to take these times with a pinch of salt ahead of FP2 this afternoon. 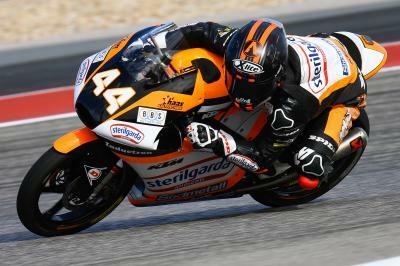 Tune in at 13:15 local time (GMT-5) to see Moto3™ back on track.